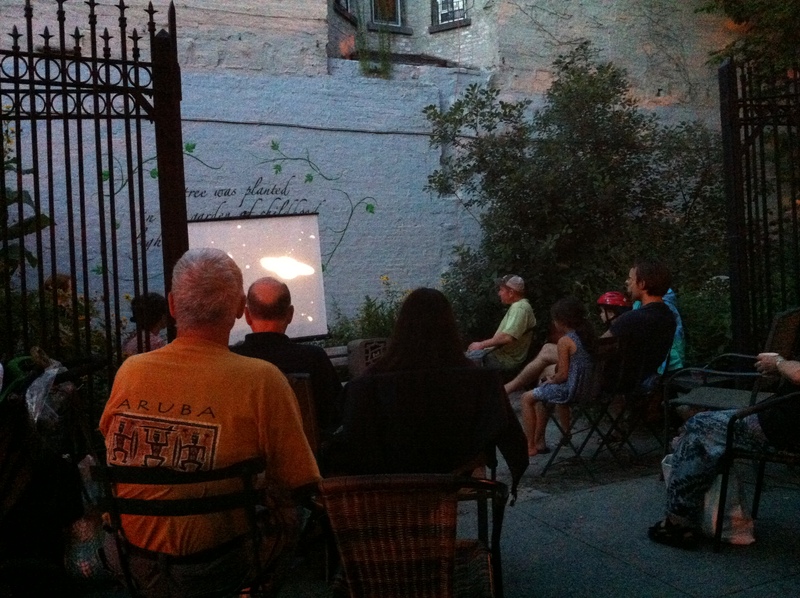 Our July 27th Movie Night at Greenspace@President was quite the event with garden members, neighborhood families, and passersby dropping in to watch some Sci-Fi classics courtesy of Movie Mike, hosted by BANG and the members of Greenspace. 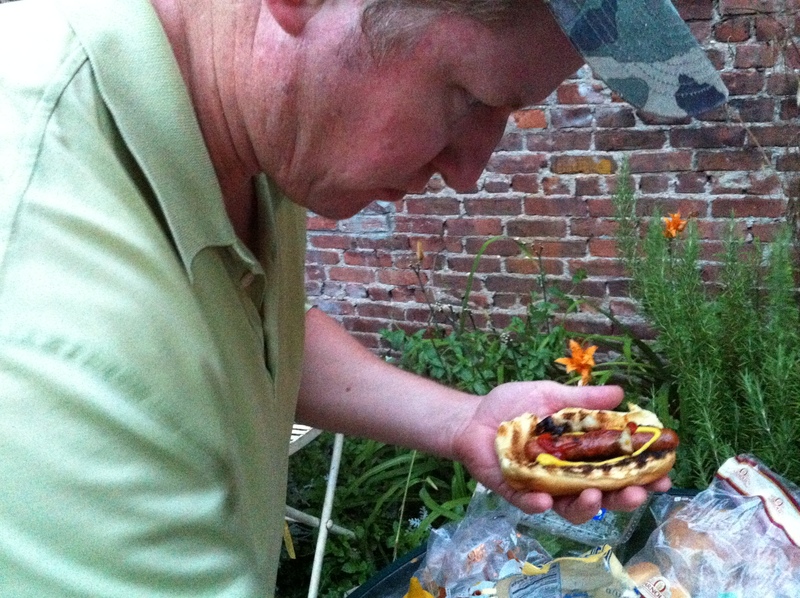 Before the features, we tuck into some great potluck fare! Thanks to all the Greenspace gardeners for sharing such beautiful fare––a lovely bounty that included watermelon and feta salad, guacamole, and hot dogs! And when dusk hits, we are ready for some reel-to-reel fun! Our feature presentation, INVADERS FROM MARS, was full of homemade martian outfits, military stock footage, and extremely emotive acting. 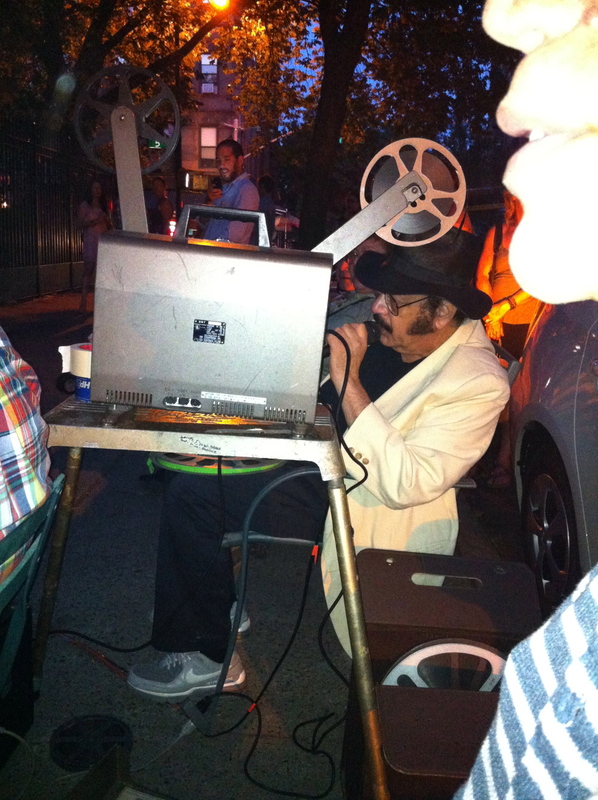 Our transformation of a city sidewalk into an impromptu theater was classic Brooklyn DIY. 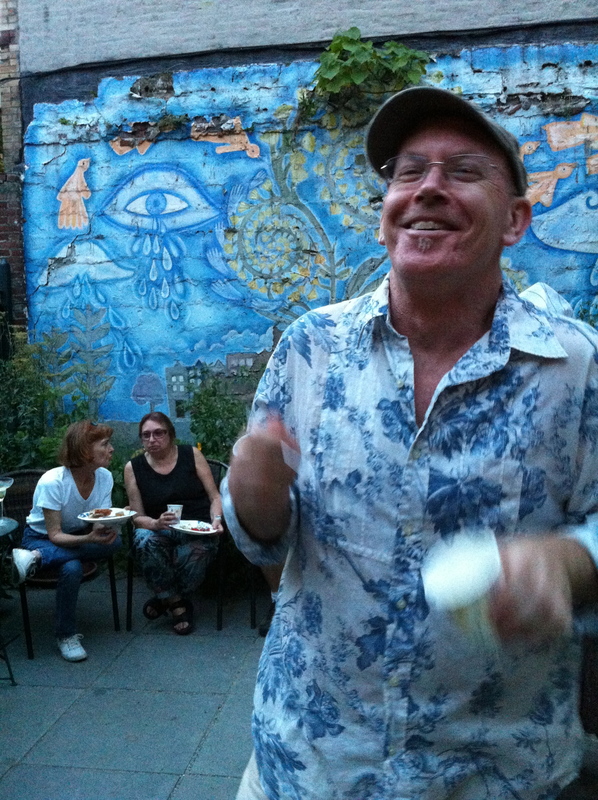 We were a mix of gardeners, neighborhood folk, and curious peds gathered to share in some movie watching fun. BANG Movie Nights build community! The next showing at Greenspace is slated for August 10th and TORPEDO OF DOOM (Herman Bix, 1938) will be our feature. This entry was posted in Events, GreenSpace@President Street and tagged BANG Movie Night, Invaders from Mars by bang11215. Bookmark the permalink.